If you love lemon, then you’re in luck! 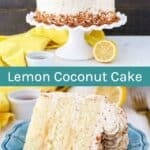 I’ve taken my Lemon Cupcake Recipe and turned it into this mouthwatering Lemon Coconut Cake. 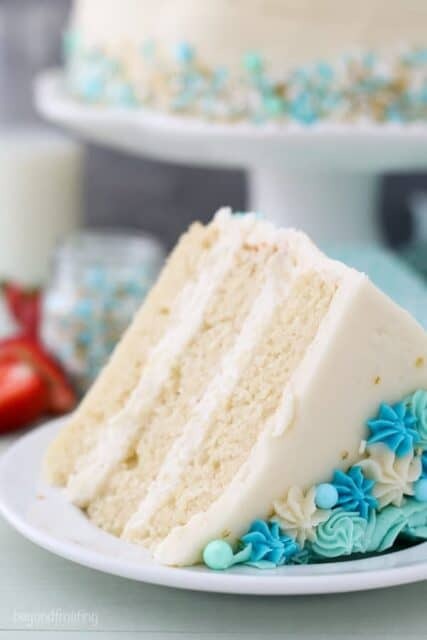 Layer cakes are a thing of beauty, and I especially love the frosting on this cake! 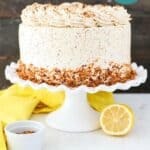 This is a moist buttermilk lemon cake, it’s filled with a tangy lemon curd and topped with the most silky, buttery toasted coconut Swiss meringue buttercream. 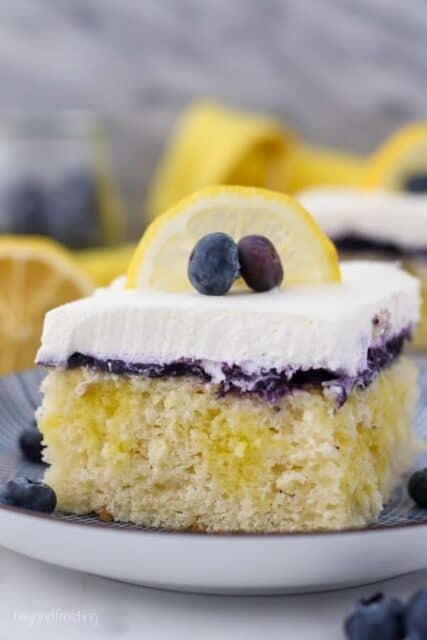 I’ve actually used this recipe before to make my Blueberry Lemon Mascarpone Cake, and I got so many compliments on the flavors, I knew the cake would making another appearance. The best part about this cake is that it’s not overly sweet. The buttermilk cake is moist and dense, a similar texture to a sponge cake. The layers of lemon curd really give you that punch of lemon flavor on your tongue. You could certainty make your own lemon curd, but I usually buy it myself. 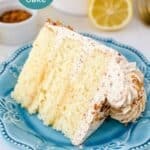 The lemon cake is a very approachable recipe. It’s an oil-based cake, so it comes together very quickly. Oil-based cakes also have a more tender crumb, so while it’s not really light and fluffy, the texture is still really nice. 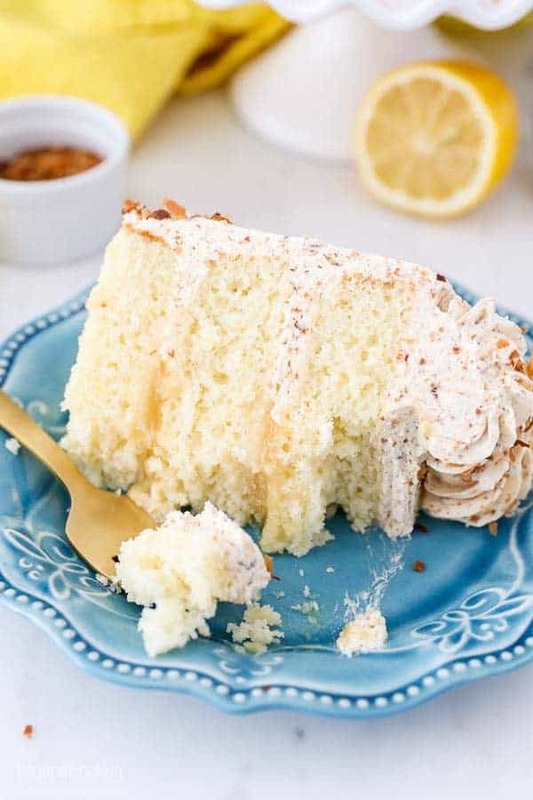 For the liquid ingredient, the buttermilk really compliments the lemon flavor, and gives this cake a richer finish. Then the sour cream is what keeps the cake so moist. If you have to don’t have buttermilk, don’t worry you can make it yourself, this handy post will tell you how to make buttermilk. 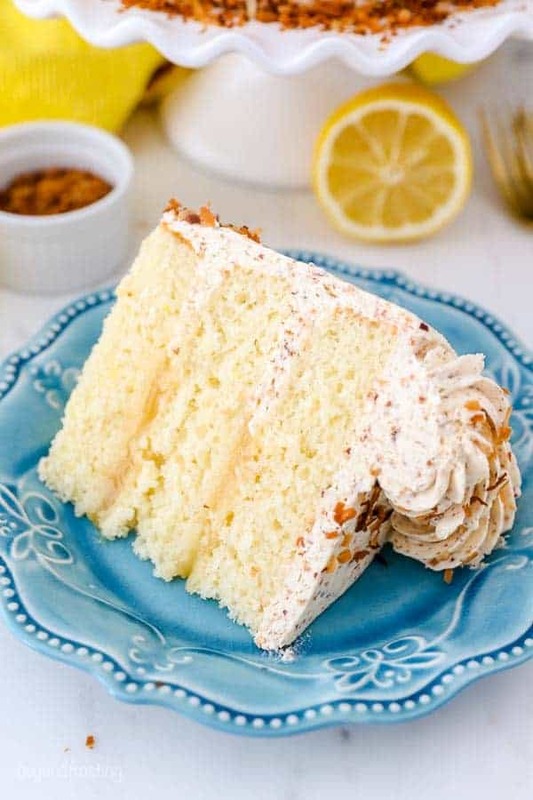 The lemon flavor in the cake is a combination of lemon zest, lemon juice and lemon extract. The lemon extract is optional, but I do think it broadens the lemon flavor profile. If you don’t have a good zester, it’s worth the small investment. I use my zester all the time! 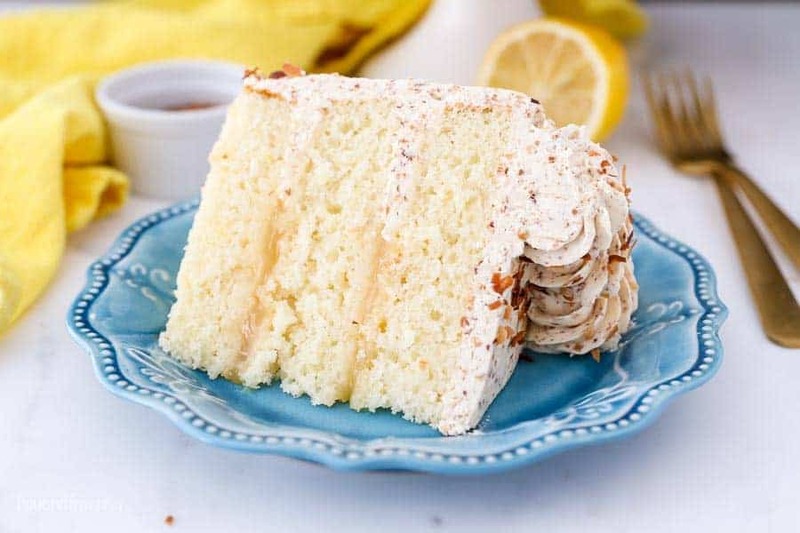 It’s the frosting that really sets this cake apart from its other lemon cake counterparts. If you’re not familiar with Swiss Meringue Buttercream, that’s okay. Read through all my tips and tricks, I break down each step to make it approachable. Traditionally, Swiss meringue buttercream is a LOT less sweet than traditional American buttercream, but it also has a very buttery and silky finish. If you’re new to this type of buttercream, you might be surprised just how different it is. The flavors are usually subtle, so it doesn’t over power the cake. It just melts away on your tongue because it’s so light and airy. For the toasted coconut buttercream, the coconut flavor is not super strong, but that’s the way I prefer it. The toasted coconut has a nuttier flavor and I think it’s less sweet once it’s toasted as well. 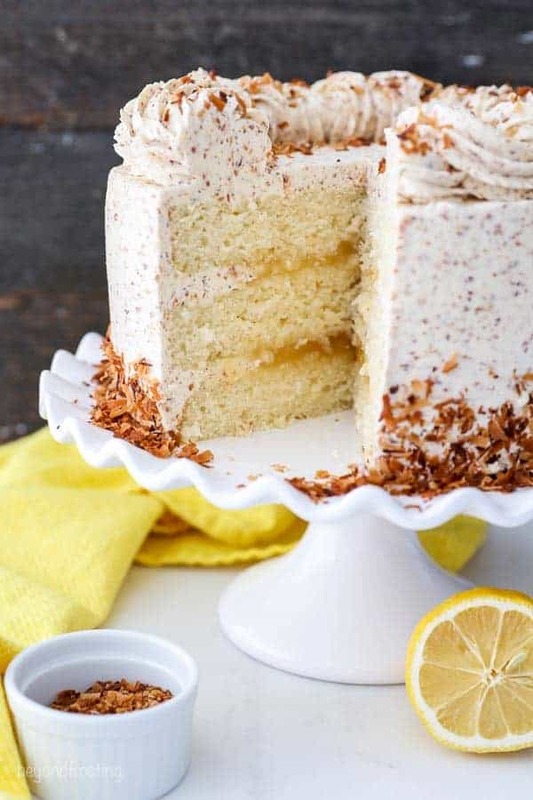 The buttercream is made with a hint of coconut extract to bring out the flavor. Even my friends who don’t love coconut loved this frosting. 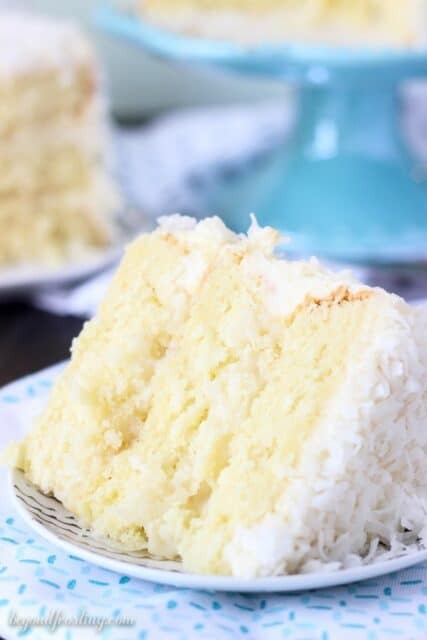 Once you’re done baking your cake, toast the coconut right away so it has time to cool while you’re making the frosting. Toasting coconut is super easy. Just spread the coconut in a thin layer on a cookie sheet, preferably one with side walls, because you’re going to spread and flip the coconut halfway through baking so that it bakes up evenly. It can take a little bit for the coconut to start toasting, but once it does, it happens quickly, so don’t venture too far from the oven. It’s best to do this directly on your baking pan, although parchment paper can be used, it slows down the process. Don’t worry about spraying your pan with cooking spray, as long as you’re using a nonstick pan, it should be fine. Throw the toasted coconut in a food processor and grind it up, it should resemble a coarse powder. You can use either sweetened or unsweetened coconut, but I prefer to use sweetened myself. 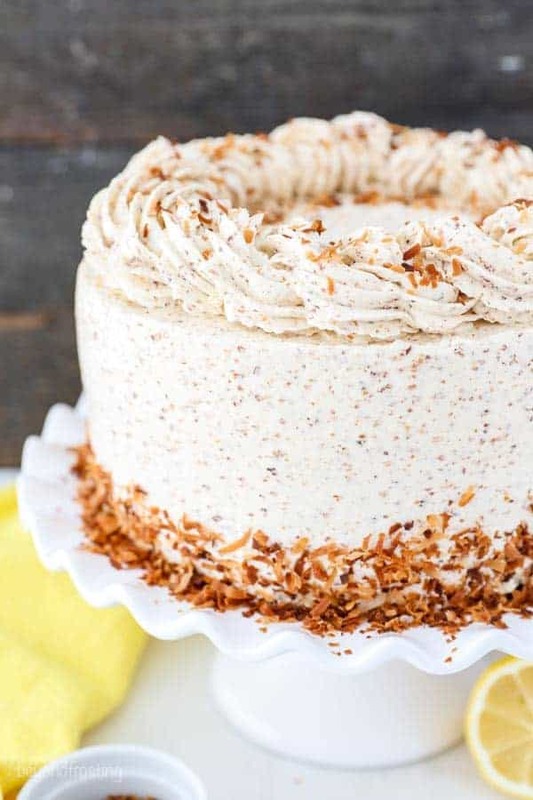 If you don’t prefer the taste of toasted coconut, you could certainly make this frosting using sweetened coconut, although I do still recommend grinding it in a food processor as coconut tends to be clumpy and sticky straight out of the package. 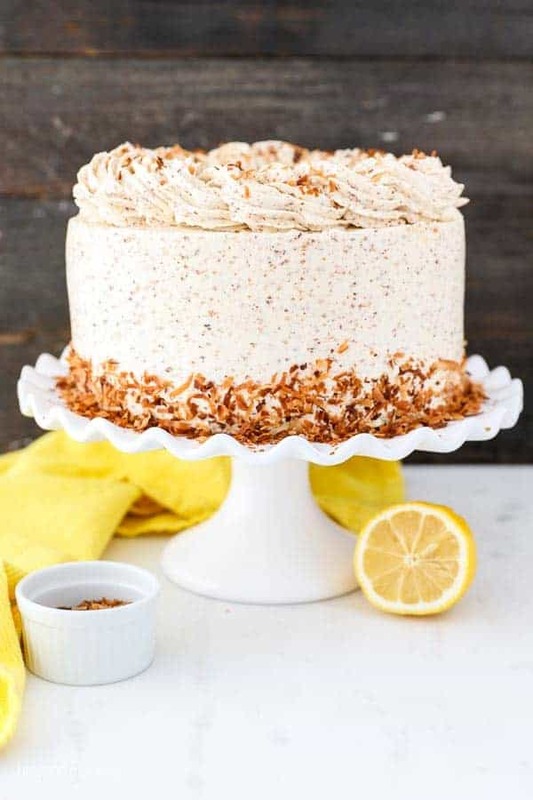 While this Lemon Coconut Cake is perfect for spring, I feel there’s never a bad time for cake!